‘The Sunshine State,’ as it is known, certainly lives up to its name. 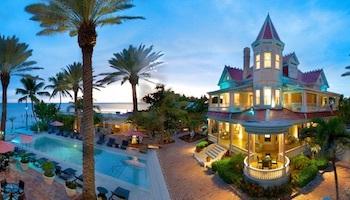 Each year, millions of people descend on Florida’s cities to revel in all they have to offer. 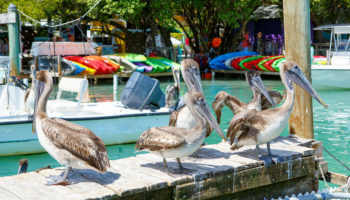 Bordered by beautiful beaches and boasting raucous nightlife and lively cultural scenes, the best cities in Florida have everything that you could ever want in a holiday destination. Whether it is for spring break, to visit Disney World, or simply to soak up the sun, Florida is the place to be. This city is where NASCAR began and the Daytona 500 is held. As a result, every year motor-heads throng to the city in droves for the various motorbike festivals that take place here throughout the year. Although primarily known for its motor racing scene, Daytona Beach is slowly changing into a more family-friendly holiday destination, and the lovely white beach is still its main draw. While grim high-rises detract slightly from its attractiveness, the Oceanfront Boardwalk is still nice to amble along; at times you can even see sea turtles nesting nearby. 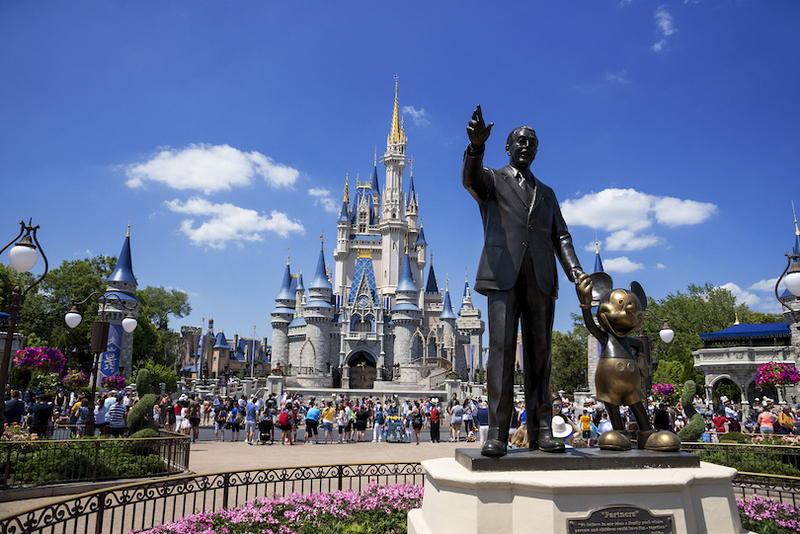 With much of the city divided up by the various highways that run through it, Kissimmee is primarily visited by tourists looking to visit Disney World. 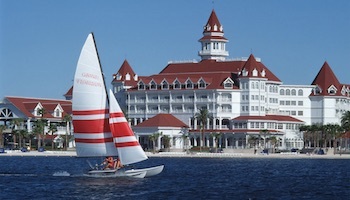 As such, it is a popular destination, although most people simply head to the theme parks rather than the city itself. The historic part of town is quite attractive and has a few cafes and bars. Other than that, it is nothing more than a convenient place to stay. In addition to the theme parks, there are some lovely nature parks nearby for people to explore. Located on the Atlantic coast of Florida, Jacksonville is remarkably the largest city in the States in terms of the area it covers. Its endless sprawl crosses three rivers, with numerous bridges linking the different parts of the city together. Amidst the urban jungle, there are some great museums to discover, and its historic neighborhoods are delightful to walk around – San Marco and Five Points being the nicest of the lot. With their own distinctive vibes, these districts have numerous bars and boutiques for visitors to enjoy. After trawling around the city, head to Jacksonville’s beaches to soak up the sun and relax. Despite being the capital of Florida and having two large universities in the city, Tallahassee is laid-back, with a slow pace of life that mirrors that of the Deep South. Thankfully, the student population give it a vibrant arts and cultural scene, and there are also a few museums for visitors to check out. Although Tallahassee remains distinctly unexciting, its setting between roving hills means the surrounding area has some nice nature spots for people looking to get out of the city. 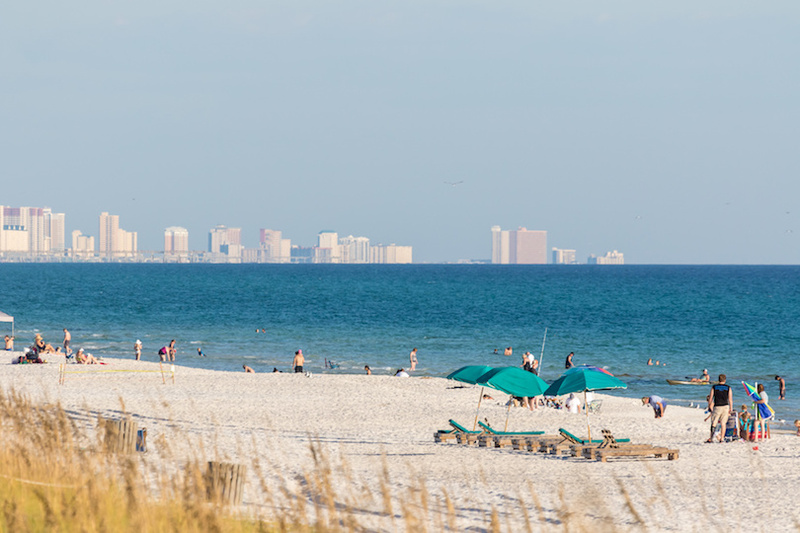 Located between Tallahassee and Pensacola, Panama City Beach caters to a diverse crowd; retirees move here, families come for a cheap holiday, and college students go wild on its beaches during spring break. Quite a tacky place, rampant development means that drab high-rises line the beachfront and arcades and dive bars dot the streets. It does undoubtedly have gorgeous beaches – if that´s what you´re after, you can´t go wrong with this city. 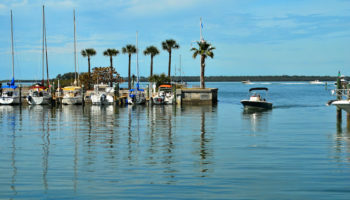 Situated at the tip of the Tampa Bay peninsula, this city was once solely known as a popular spring break town, although it has greatly changed its image in recent years. Now there are some lovely street art murals dotted about town and the historic center is an energetic and trendy place. You will discover boutique stores and little galleries, as well as farmer’s markets and atmospheric restaurants. With a fantastic Dali museum, St Petersburg’s lively cultural scene and beautiful beaches make it well worth a visit. 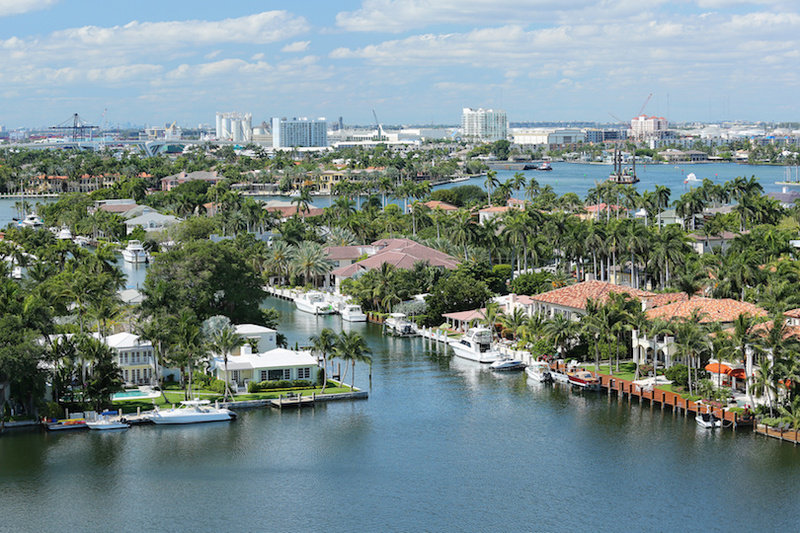 Located in Palm Beach County, West Palm Beach is a lively place that attracts people from all around, due to its array of restaurants and cinemas, live music scene, and bustling nightlife. With a welcoming population and a large gay community, it is a friendly place to stop by. A delightful waterway runs through the city and there are lots of great beaches in the area for visitors to choose from. Due to its proximity to Alabama, Pensacola has a southern charm and delightful laid-back vibe, making it a welcoming place to visit. Surrounded by water, the city is in the panhandle, and there is a heavy military presence due to the various bases. Ruled by five different nations at various points in history, there are some interesting historical sights around town to check out. 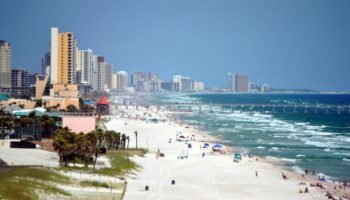 Most people, however, come for the fantastic beaches, delicious seafood and cheap bars, with Pensacola being a popular spring break destination. Lying very near to Tampa, Clearwater is a slightly drab city that seems to be stuck in the past due to its dated downtown area. It is now home to the Church of Scientology headquarters. As such, many visitors head straight to Clearwater Beach, which is located across a bay on a barrier island. Here, there are loads of lovely beaches and peaceful parks, with a variety of watersports available. As the home of Hooters, Clearwater is also a moderately popular spring break option for college students. A popular place among holiday-makers, Sarasota has a vibrant cultural and arts scene, with numerous interesting and educational museums throughout the city – some of which pay homage to the prominent circus that used to be based here. 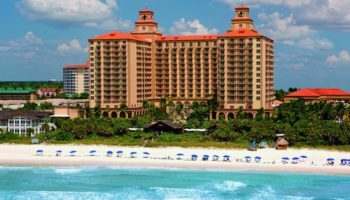 Located on the southwest coast of Florida, the city has lots of great restaurants and shopping malls to attract visitors, as well as some beautiful beaches, with Siesta Bay Beach considered one of the best in Florida. Formerly a popular destination with college students during spring break, Fort Lauderdale now caters for a slightly different crowd, who come to enjoy its jazz concerts and cocktail bars. It’s a lively place, with lots going on, and there are still some great bars and clubs for partygoers to revel in. The coastal part of the city is lovely – it has fantastic beaches and some peaceful meandering waterways, as well as great restaurants. The busy port is constantly teeming with cruise ships ferrying tourists to the Caribbean and beyond. 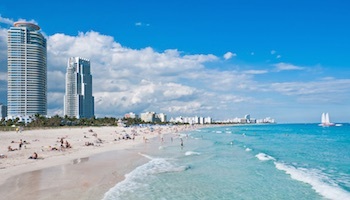 Although visitors to Miami often think that Miami Beach is part of the city, it is in fact another municipality, and is situated on a barrier island across the Biscayne Bay. 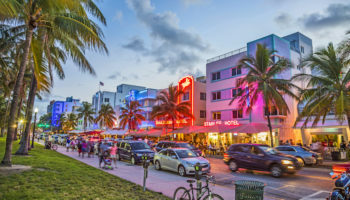 One of the most popular beach resorts in the States, Miami Beach is idyllic to visit, with some lovely art-deco architecture and world-famous beaches. 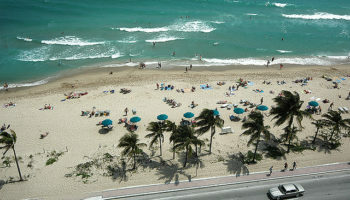 South Beach is the most popular; at night, its bars, restaurants and clubs are filled with people looking for a good time. With a vibrant cultural scene, sun-kissed Miami Beach is a dream to visit. A sprawling city, there is much to like about Tampa, although it is often overlooked by tourists, who head to Miami and Orlando instead. At times scenic, at others a bustling city, a lovely spot to stop by is the banks of the Hillsborough River which runs into Tampa Bay. Here, enclaves of trees rear up amidst the modern architecture, making for a pretty view and nice walk. With lots of interesting museums, as well as a zoo, an aquarium and some theme parks on offer, it is a great family destination with lots of restaurants to choose from. In the evening, Ybor City is the place to head to for lively nightlife and teeming bars and clubs. 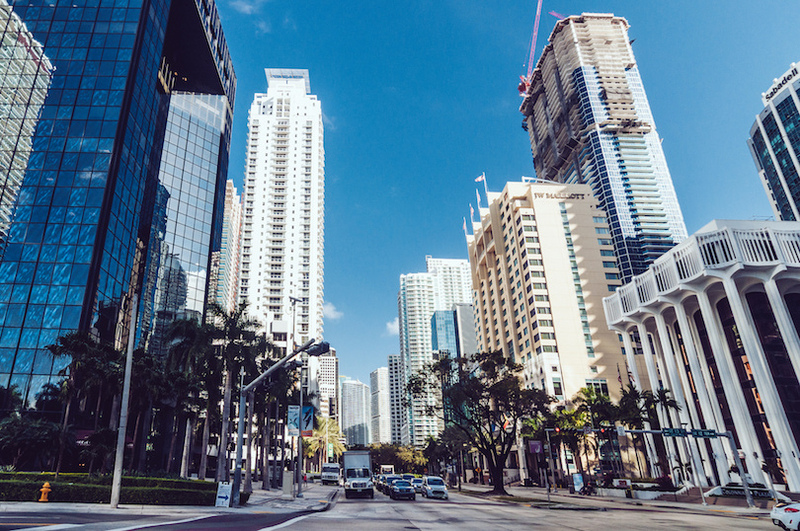 With its palm-tree-lined beaches and plethora of lovely art deco buildings, Miami is an enticing and attractive city that is a fun and festive place to visit. Its sunny climate is home to the largest Hispanic population in the States. 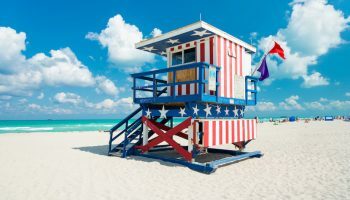 It is possibly due to this that Miami has such a vibrant cultural scene, as is demonstrated in its fantastic museums showcasing some cutting-edge art and design. Among the iconic buildings with their pastel tones, there are some world-class restaurants for you to discover, as Miami again pushes the limits of what is possible. While the city is bathed in sunshine during the day, at night a myriad of dance halls, clubs and rooftop bars fill up. There are many great places where you can have a drink and look out over the glittering city. 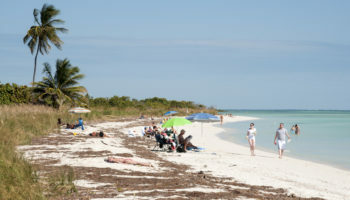 In addition to all this, Miami has loads of lovely nature spots to enjoy; you can be swimming with manatees one minute, before wandering through Oleta River National Park or be lounging on the beach the next. The most popular tourist destination in Florida, every year millions of visitors descend upon the city for the magical theme parks that lie all around it. While Walt Disney World and Universal Orlando are rightly the main draws, the city itself, although often overlooked, is worth spending time in, and is a lot more relaxing than the plethora of parks. Here, you can wander through the lovely gardens and parks that give way to tree-lined avenues. 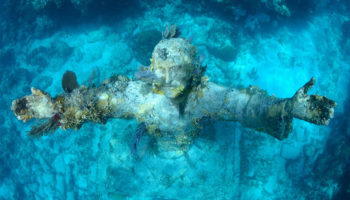 There are also several great museums and fantastic restaurants to check out. There is a lively performing arts scene, some gigantic shopping malls, and if you still have energy after a theme-park filled day, there a few good spots with raucous nightlife.